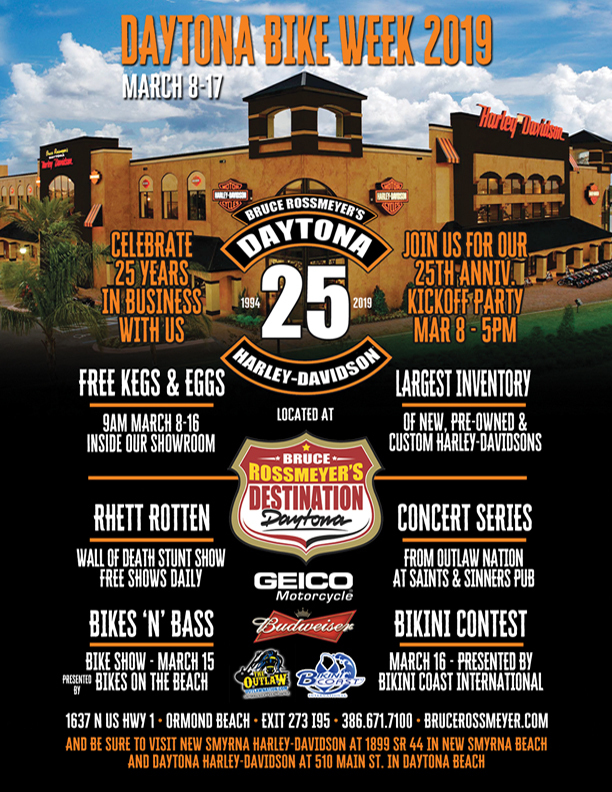 Bruce Rossmeyer's Destination Daytona - home of Daytona Harley-Davidson - is a must stop during Bike Week! Start your morning off with FREE Kegs & Eggs inside the showroom at 9 AM March 8-16 While They Last! Plus, Vendors * Vendors * Vendors! Visit our event website for more details!